As an athlete, rest is a huge part of staying injury free. But it’s the hardest thing for me to do. Sometimes it feels weird to be sitting on the couch, vegging out, instead of running. Resting my body is vitally important because I could overdo it and tweak a muscle. If I tweak a muscle, I can’t run for a long while. And that leads to losing fitness, eventually setting me back longer. But if I work in a week of rest in my training schedule, it makes me strong. I still run a little, but I work in a couple rest days. And by rest, I mean no running! That protects my muscles, my overall health, which allows me to get stronger in the end. It applies to life in general, too. Work, school, sports, meetings…we fill nearly every minute of every day with activities. It’s almost as if we have to get sick, like catch the flu or a cold, to stop us, to give us permission to slow down. Like our body finally says it’s had enough and knocks us on our butts. But if we work rest into all aspects of our lives—not just athletics—we will stay healthier. And not just physically, mentally, too. I find I get grumpy if I’m run down. Short tempered. And a little negative. 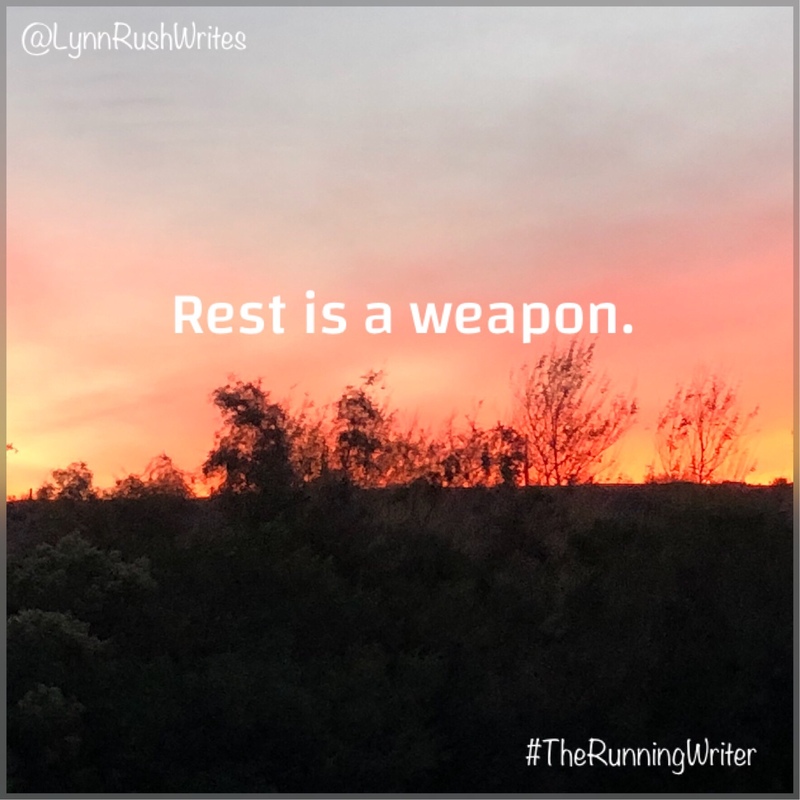 What’s rest look like in your world?